Tracy's Notebook of Style: Target New Arrivals!! This collection is still being added to the Target website - I'll add the links when available. I love this marbled sweater - I know it is verging on "ugly sweater"
territory, but it's sort of cool. Love the faux leather collar detail! This are cozy sweater cardigans (like a giant blanket) - perfect for this time of year. This may not photograph well, but this fuzzy oversized sweater is just so cozy. This would be adorable on for a holiday party or New Year's. Faux Leather Dress - the length is on the shorter size, better if you are under 5'4"
every pic is slightly blurry. This quilted dress was thick, I don't know how this would fit. The leopard print is a shirt, but it is so long. If I were tall enough or could rock some sky high wedges, the striped skirt would be mine. stores and the orange/blue color palette is one of my favorites (especially worn with denim. Yay for polka dots - in case you don't already own one - this is a cute option. Some cute basics - again, loving the polka dots. These wallets are so cute! Target has really stepped up their jewelry collection! I was there recently too (surprise surprise!) and I was gawking at the costume jewelry too! CRAZEAMAZE! Thanks for sharing the new styles, I plan on hunting them down when they hit clearance for sure! I just want to tell you how your very thorough journey through Target with your updates on the latest finds is truly appreciated! I love getting home and seeing all your finds! 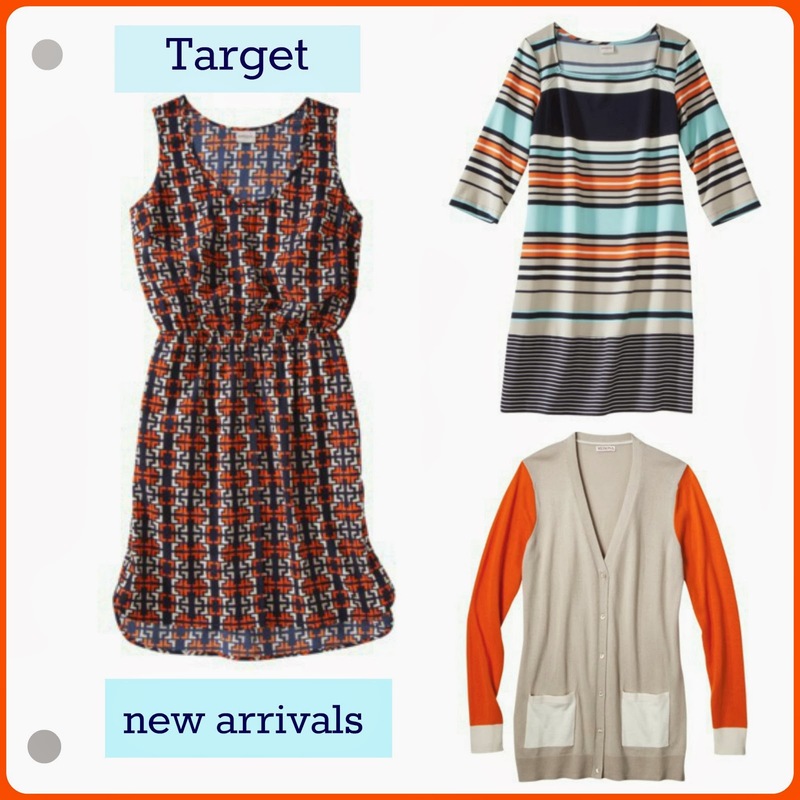 Target is really stepping up on their style especially their Merona line. I have found that I'm drawn to that brand the most - probably because it does remind me a lot of J.Crew. Thanks for your wonderful post! Wow!! I'm loving what I'm seeing! To be honest, I wasn't totally thrilled with everything I've seen there recently, but there's some pieces I definitely need to go and check out in person.